I've been at Microsoft Ignite all week, and despite Nano being released with Server TP 2 a few days ago, I hadn't yet had a chance to try it out, partially due to the sheer amount I've had to take in, but also due to the complete lack of a stable internet connection anywhere I have been. 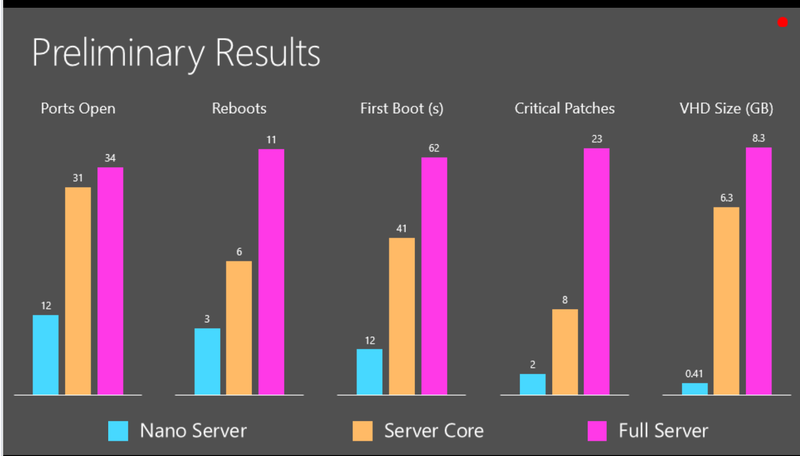 If you haven't heard yet, Nano server represents one of the biggest changes in Microsoft's server offering's since the NT days. If you want a full overview I highly recommend you check out Jeffery Snover and Andrew Mason's introduction session, but if you just want the highlights I think one point is more than enough, of the 20+ Critical security bulletins for Server standard last year, only 2 would have applied to Nano, as a dev who is more the happy doing everything in powershell I was sold. This guide is for a local VM nano server running on hyper-v, although you should be able to use the same principals for a remote host. As all mamangement is done remotely for Nano server, make sure you have enabled powershell remoting on your client, I had forgotten to do so on my laptop and the errors you get will appear to suggest it's an issue with the machine you are trying to connect too, rather than the service is not running on your machine. First off you will need the Windows Server Technical Preview 2 which contains the Nano Server wim. Once you have the iso, you will need to grab some bits from it. If like me you are using Windows 8 or above, you can simply double clice the ISO to mount it as a virtual drive. Next you will need a script to convert the wim file to a VHD, download Convert-WindowsImage.ps1 from the Script Center. I placed the script in the c:\tmp folder with the other files, now from a Windows PowerShell prompt, run Convert-WindowsImage.ps1 -Sourcepath (path to wim) -VHDPath (path to new VHD file) –VHDformat VHDX -Edition 1. This converts the .wim image to a VHD in the path you specify. Note that while the current documentation specifies to use VHD I have found that VHDX also works fine, however you must use a generation 1 (the edition switch) file as generation 2 will not be recognised. Next I created a simple Unattend.xml to set the Machine name and Admin password during the machines first boot. Remember to set the values in the sections that say CHANGEME. Save your Unattend.xml along with the other files. If you want the VM to have a static ip on first boot, create a file in your temp directory called SetupComplete.cmd and then add the following line making sure to replace the (CHANGEME) to your desired IP. powershell.exe -command "Import-Module C:\windows\system32\windowspowershell\v1.0\Modules\Microsoft.PowerShell.Utility\Microsoft.PowerShell.Utility.psd1; Import-Module C:\windows\system32\WindowsPowerShell\v1.0\Modules\NetAdapter\NetAdapter.psd1; $ifa = (Get-NetAdapter).ifalias; netsh interface ip set address $ifa static (CHANGEME)"
Now the current documentation stipulates that you should copy various DISM components to the same temp directory under a dism folder, but as I was using the Windows 10 TP, I simply used the installed version. Next you will run the commands to inject the drivers, compute package and unattend.xml into the VHD you created, this is the bare minimum required to get nano up and running, if you want file storage/hyper-v/clustering you will need to add those as well. If everything was setup correctly you should get an output like the following. Now all that is left to do is create a VM to use the VHD that you just created. If everything worked properly you will be presented with a lovely flashing white bar. 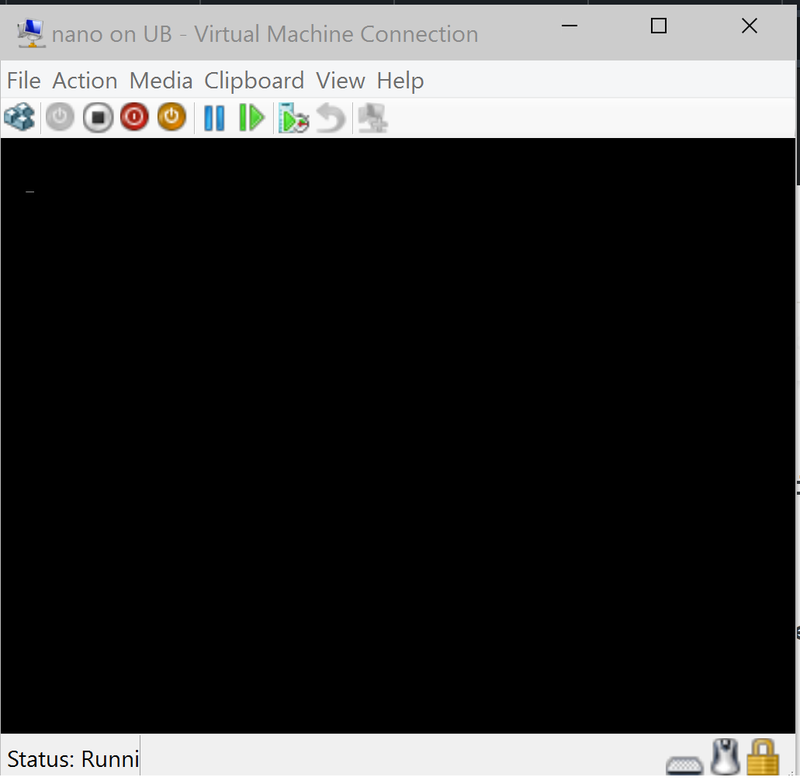 If you didn't know, Nano Server has no GUI at all, and this flashing white bar is all you will get if the server has booted correctly. Now that your Nano server is running you can connect to it as with any powershell remoting. If you want to read more about using Nano server you can check out the TechNet article but be warned it does seem to be a little inaccurate.